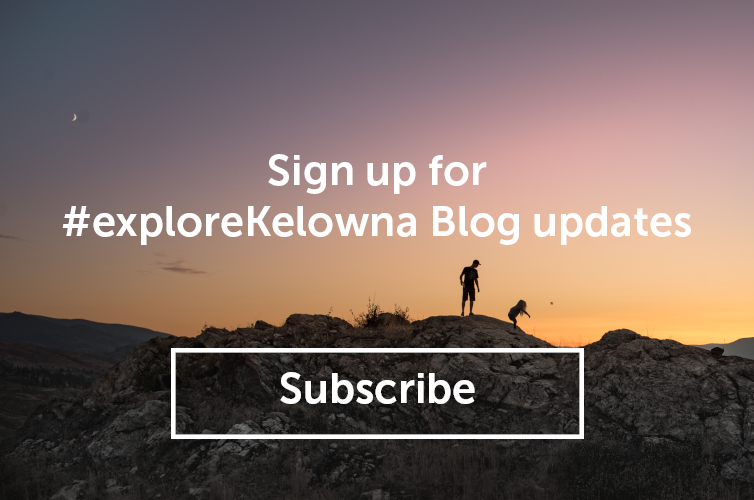 Our local chefs are thrilled to welcome the bounty that summertime brings to the Okanagan and can’t wait to integrate the newest seasonal ingredients into their menus. Kelowna is blessed with some world-class winery dining experiences and one of their keys to success is having chefs that live and breathe the local lifestyle (ahem, the vineyard and lake views don’t hurt either…) The Okanagan winery chefs also follow a unique protocol of creating food to compliment their unique characteristics of their wines. Cheers! Executive Chef Roger Sleiman at Old Vines Restaurant at Quails’ Gate was cooking local long before it was cool. He has just released his newest menu featuring the latest and greatest available from the local farm scene. 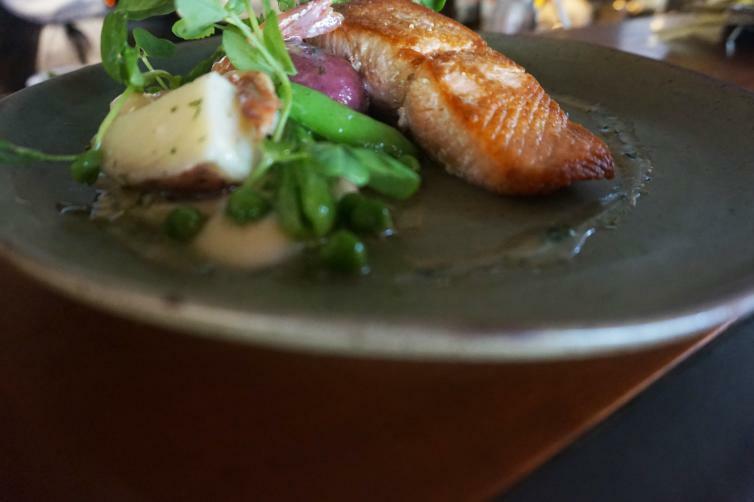 New on the menu: Wild BC Spring Salmon with side stripe prawns, locally sourced cauliflower, shelling peas, new potatoes, horseradish, and dill. Sunset Bistro at Summerhill Pyramid Estate Winery is not only super local, they are also super organic. 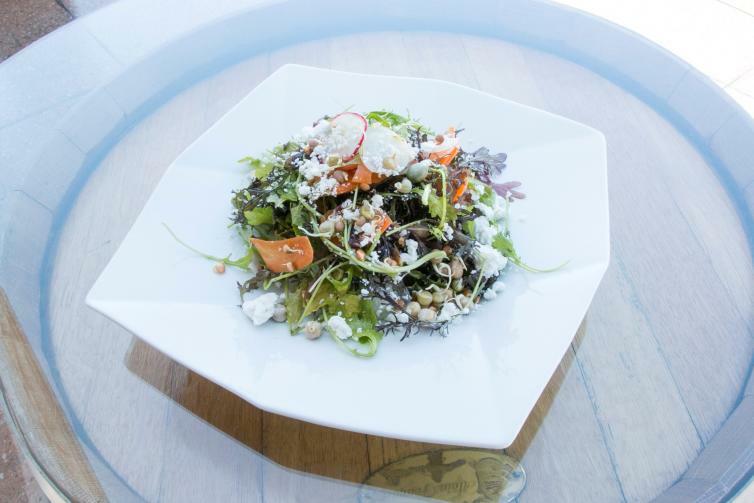 Chef Alex Lavroff offers seasonal creations that are sourced as much as possible from their organic vineyard and gardens on site. The rest of the products are chosen from the very best sustainable farmers and ranchers. Suggested wine pairing: Summerhill Rosé Bubbles with everything! 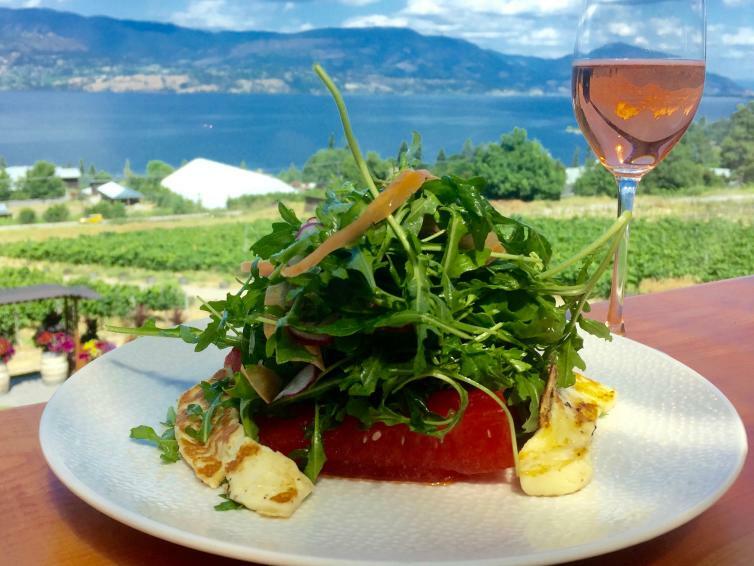 Other hyper locavorian chefs like restaurant Chef Patrick Gaylor at The Terrace Restaurant at Mission Hill Family Estate Winery follow the winery’s strict local, sustainable, seasonal philosophy. Gaylor, like our other fabulous winery chefs, has a garden on site growing in tandem with their grapevines. Mission Hill also has beehives on site. Love the housemade charcuterie platter here served with house made preserves and mustards. 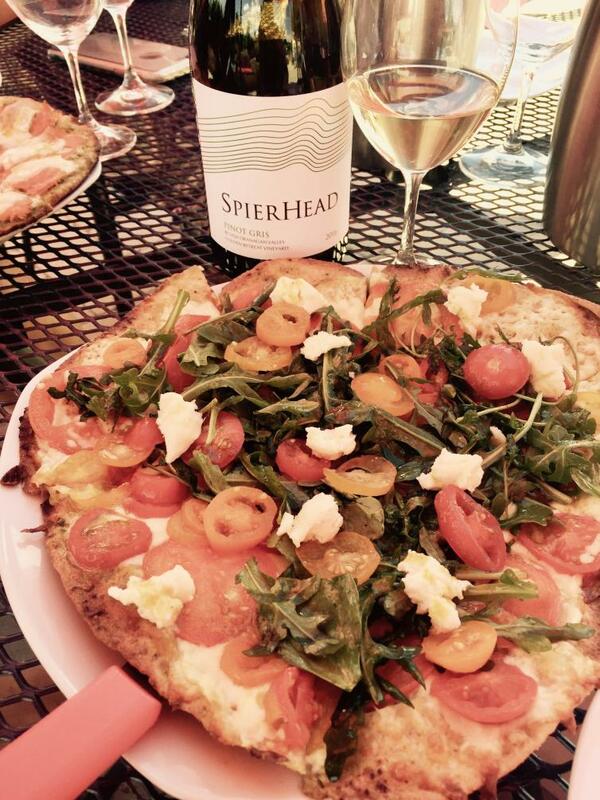 Southeast Kelowna now has their very own winery eatery at SpierHead Winery, known for their award-winning Pinot Noir. Rita Myers, who holds legendary status in Kelowna as the former owner of local wine bar hangout The Rotten Grape, has returned to the restaurant scene with The Patio at SpierHead. She specializes in pizza – the current seasonal special has potatoes, kale, and garlic scape pesto – mmmm. 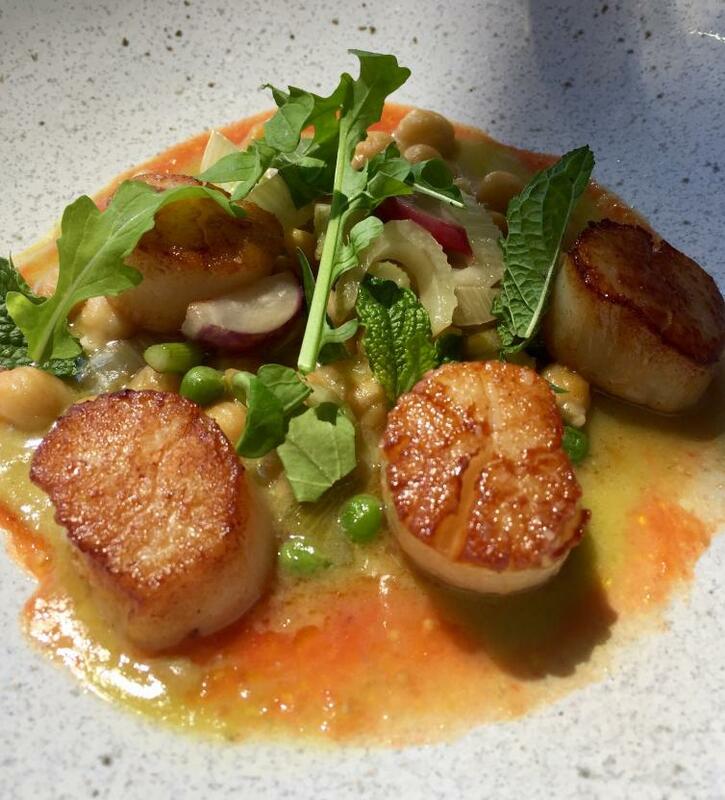 CedarCreek Estate Winery Chef Jeremy Tucker is also renowned for his fresh take on local cuisine. He partners with local farmers like John Hofer and Brenda Paterson from Wise Earth Farm and Carmelis Goat Cheese located just up the road and celebrates them on the menu by name.